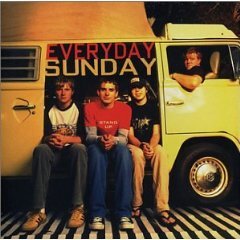 Taking inspiration from CCM heavyweights Audio Adrenaline, Jars of Clay, and dc Talk, Everyday Sunday issued their independent debut, Sleeper, in 2001. 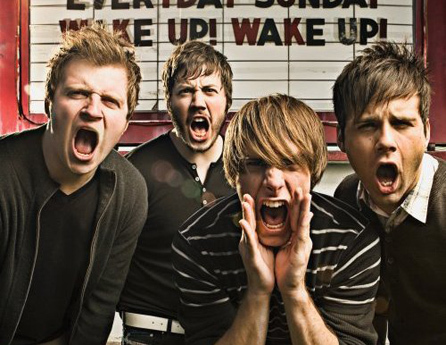 Born out of a suburban Hilliard church youth group in Columbus, Ohio, the group earned national attention in 2001 with their debut album and their single, Just a Story, also released in 2001. The band's activity attracted the attention of Flicker Records. 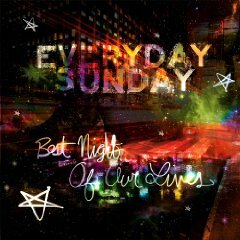 Inking a deal with the label in 2002, Everyday Sunday released Stand Up that fall. The record did well, as did their follow-up of melodic rock goodness, 2004's Anthems for the Imperfect. Both albums garnered the young group all kinds of praise and critical accolades from Christian radio and outlets like CCM Magazine. After signing a new deal with Inpop Records, the band entered the studio with producer Ian Eskelin (Krystal Meyers, All-Star United) to record its tightest, catchiest, and most accessible collection to date. Wake Up! Wake Up! appeared in May 2007 to positive response and quickly scored two Christian radio hits in the singles "Find Me Tonight" and "Wake Up! Wake Up!" 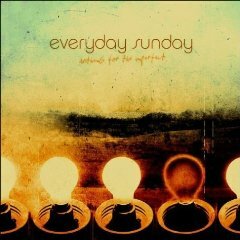 Comprised of Trey Pearson (lead vocals), Andrew Martin (guitar), Dan Hunter (bass) and Chris Hines (drums), Everyday Sunday want to share their faith through their musical passion and encourage others to stand firmly for what they believe. Their latest release combines straightforward lyrics with aggressive guitar-driven melodies. Energetic up-tempo numbers like "Lose It Again" depict the void in every heart and the futile attempts to fill it with anything but the peace of the Lord. Meditative, melodious conversations like "Hanging On" discuss everyone's relentless search for answers and a patient God that never gives up on us no matter how long it takes to figure out real truth. "A lot of people seem to think as a 'Christian' band, all your songs have to be Jesus, Jesus, Jesus, or you are not a Christian band," says Pearson. "And a lot of people think that to relate to people you have to do the opposite by making sure you don't say Jesus or God too much because it will turn people away. I write about how I feel and what I'm going through. Hopefully, if God is in the center of everything I do, that will be evident in the things I write about. That's how the album is. It's about life." While they are thrilled about this exciting step in their career, Everyday Sunday still has a clear perception of where their biggest victories lie. "The most rewarding part of being in this band is getting to see the effect our music has on people," admits Hunter. "It really shows us that we are doing something more than just making music, and that there is so much more to our futures than we can dream up ourselves."